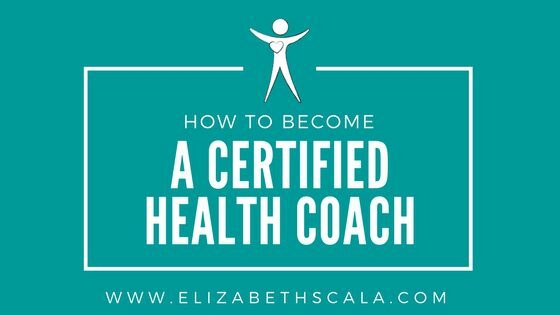 An Important Question Nurses Ask: How to Become a Certified Health Coach? When I interview nurses on the Your Next Shift podcast, I ask them about professional habits and routines that they would attribute to their career successes. More often than not, the responses include something related to education and professional certification. So, it would make sense, for a nurse who is interested in health coaching to ask about how to become a certified health coach. Before we get into this topic, I want to go over some of the differences and similarities between education, certification, and licensure. As a nurse who may be considering an alternative nursing career as a coach, you will want to understand what type of education is required for coaching. As of this blog post, coaching is not a regulated profession. What that means is that there are no minimum requirements or certifications necessary to call yourself a coach. While this may sound a bit scary, it is the truth and one of the reasons that I personally think sets nurses apart from health and wellness coaches you may find online. A nurse already has some basic skills that make them good health coaches. Think about it- we are good listeners. We teach our patients, shift after shift. From all of our specialty training and nursing certifications- we KNOW health and wellness! Nurses are teachers, advocates, and lifelong learners themselves. A nurse is someone who a person typically trusts and will look up to. So, the fact that health coaching is not currently a regulated profession puts nurses ahead of the eight ball. You already have skills essential to health coaching which means you are not required to do more schooling. Essentially, as a nurse, you can get started right away! So, How does a Nurse Become a Certified Coach? In nursing, we are used to the fact that we have to have a certain number of practicing hours under our belts before we can sit for certification exams. And certification is not required for you to start working as a nurse, helping patients, and making money however becoming certified in your specialty area does convey more competence. What is different in the field of coaching is that certification programs are optional and not regulated. Not all certification programs require experience before examination. So, as a nurse, you do not need to get certified in coaching before you begin to practice. Just like in the profession of nursing, a coaching certification does convey competence and builds confidence. It provides advanced training on coaching skills, such as motivational interviewing, active listening, and goal setting. So, let’s be crystal clear then. You do not need to become certified in order to coach. Think about it this way- why are you interested in becoming a nurse coach? It is to help more people? Support clients in reaching goals and sustaining healthy habits? Enjoying the celebrations of hearing about how the person your coaching was able to decrease or even eliminate their medications? If you’re serious about becoming a nurse coach and you want to help people- then why wait!? Why slow yourself down with a fancy certification right off the bat? Couldn’t you start out in the coaching field, see if you actually enjoy it, and then go back and figure out how to become certified as a health coach later? Donni is a a Nurse Practitioner who stared her professional career as an oncology nurse, working on a Gyn-Oncology unit. Rather than me trying to answer these confusing questions related to how to become certified as a health coach, why not learn more about it from Donni herself?